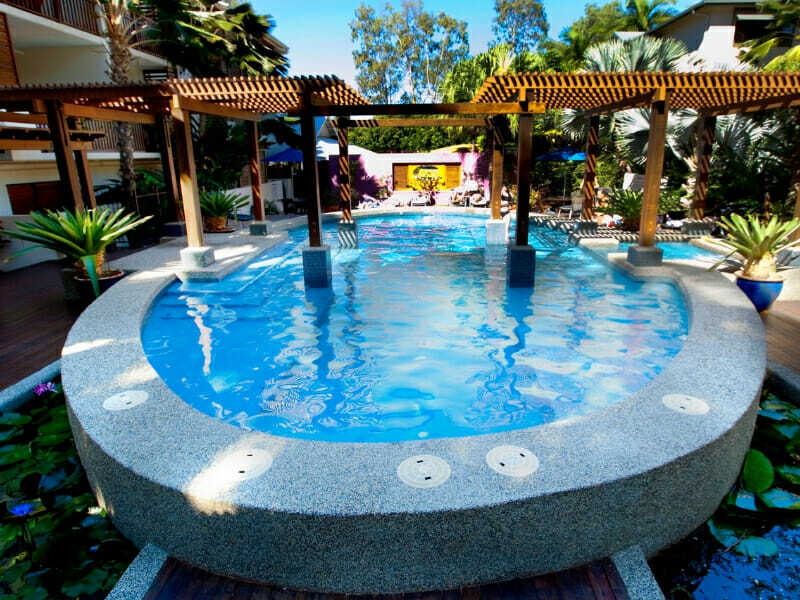 Treat yourself with a tropical snack while staying at the Freestyle Resort Port Douglas with a complimentary fruit platter. 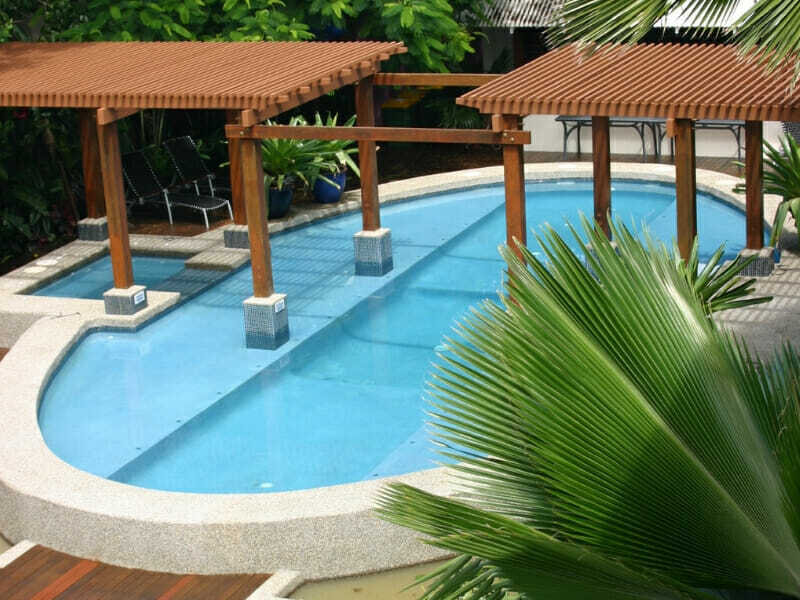 You can also enjoy free carparking, pool towels & WiFi so the only thing you have to worry about during your holiday is relaxing! 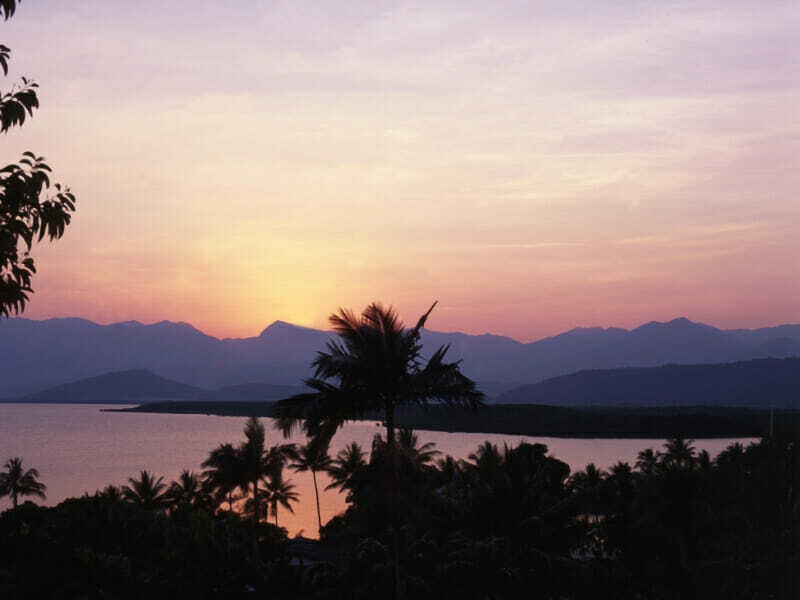 Forget carting luggage around on the first and final day of your holiday! With guaranteed check in at 10am and check out until 12pm, you can leave your luggage in the room to make the most of your morning before flying out! Feel at home in this 54sq. metre flat, which has been designed like a classic north Queenslander’s house. This apartment features a lounge area and roofed balcony or patio, perfect for a family in-room dining. In this accommodation that features a Queen bed, a sleeper sofa and a fully-equipped kitchen, a family of 3 can relax in comfort and style. 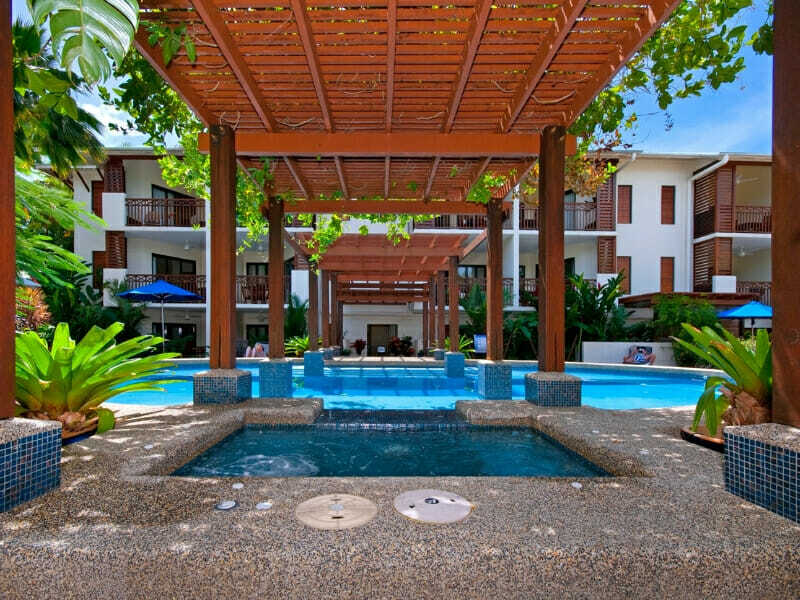 1 Bedroom Upper Level Apartment – UPGRADE from only $100 per person! With elegant finishes, such as cedar timber shutters, this 76sq. metre apartment redefines contemporary aesthetic appeal. 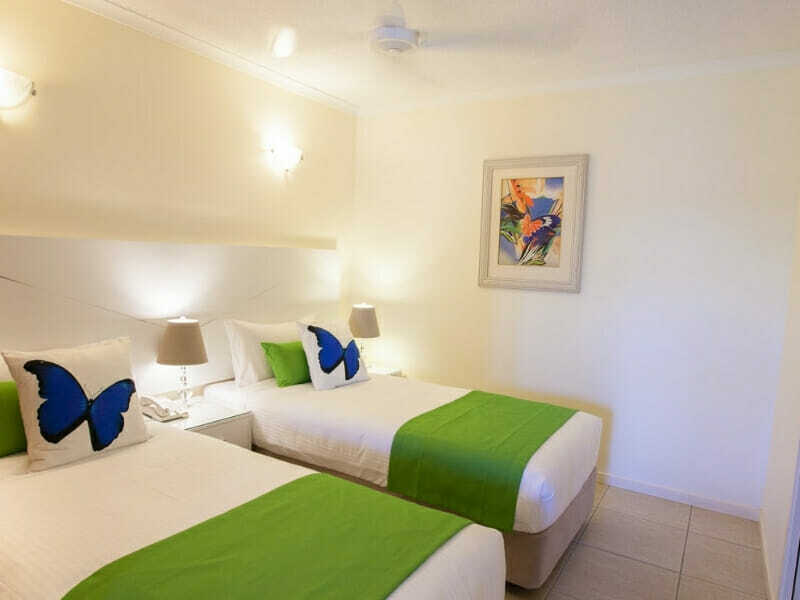 Its cosy bedrooms, featuring 1 Queen bed and 2 Single beds, can sleep up to 5 guests. 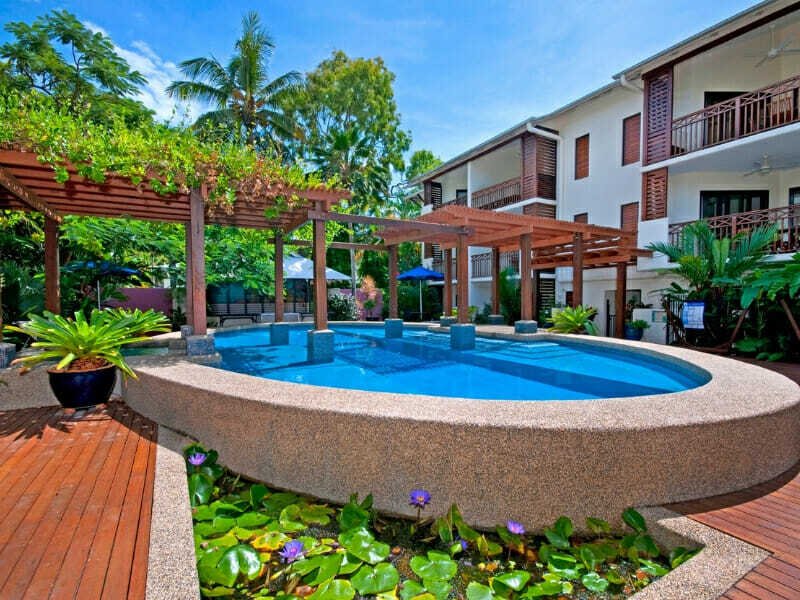 The accommodation also comes with a roofed balcony or patio, a separate living space and a well-equipped kitchenette for the ultimate convenience. 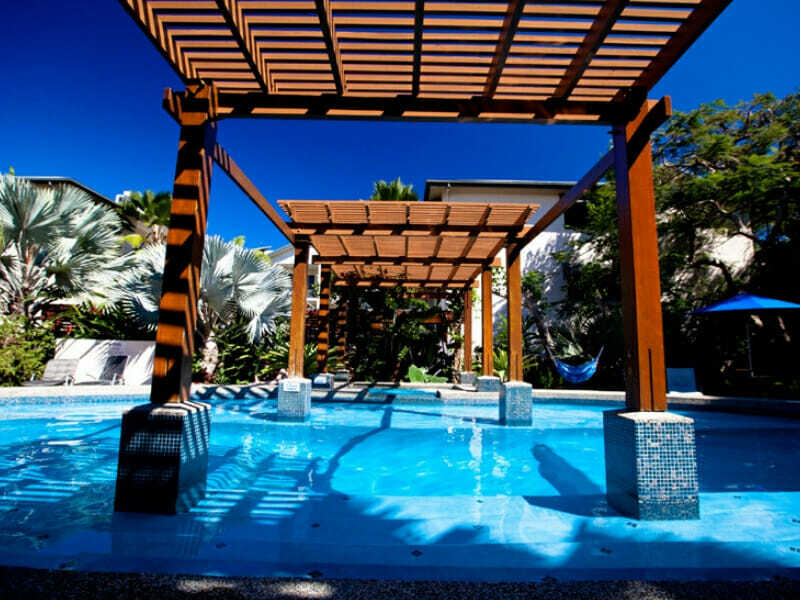 2 Bedroom Apartment – UPGRADE from only $250 per person! A bespoke 76sq. 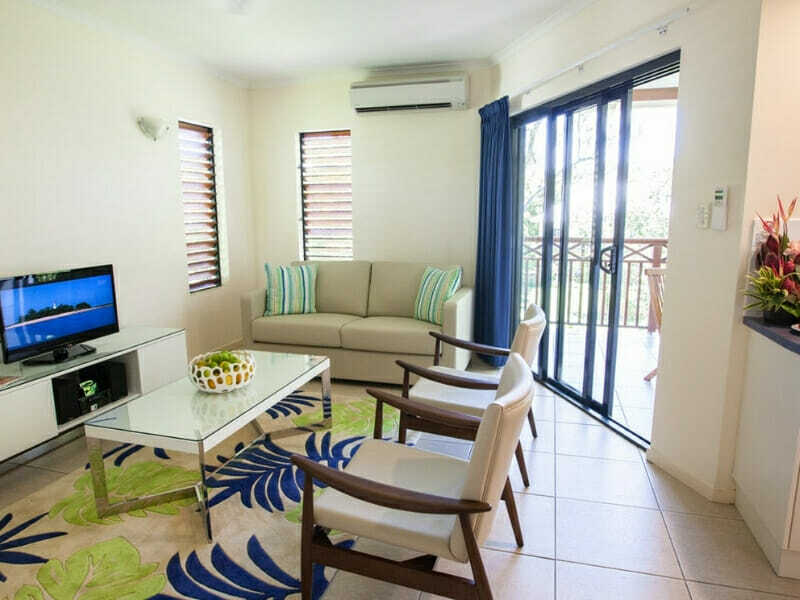 metre accommodation for a group of 5, this apartment exudes a relaxing tropical atmosphere. The roofed balcony or patio invites you to park yourself down on a lounge chair and maybe put your feet up while taking in the scenic garden views. You also get premium in-room amenities, including 1 Queen bed, 2 Single beds, living and dining areas, entertainment facilities and more. 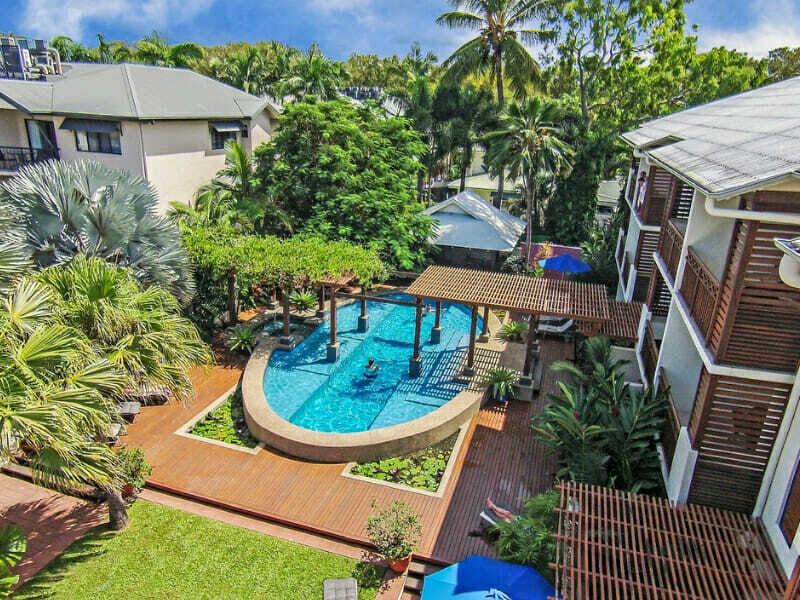 With its deluxe self-contained apartments, Freestyle Resort Port Douglas takes luxurious holidays to the next level. 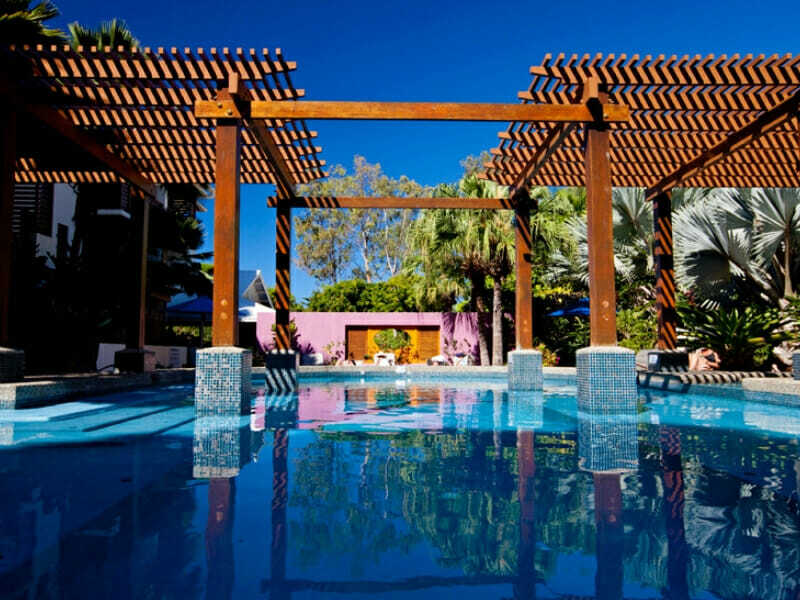 This resort features a lagoon pool with spa—just what you and your family need for a heavenly retreat. 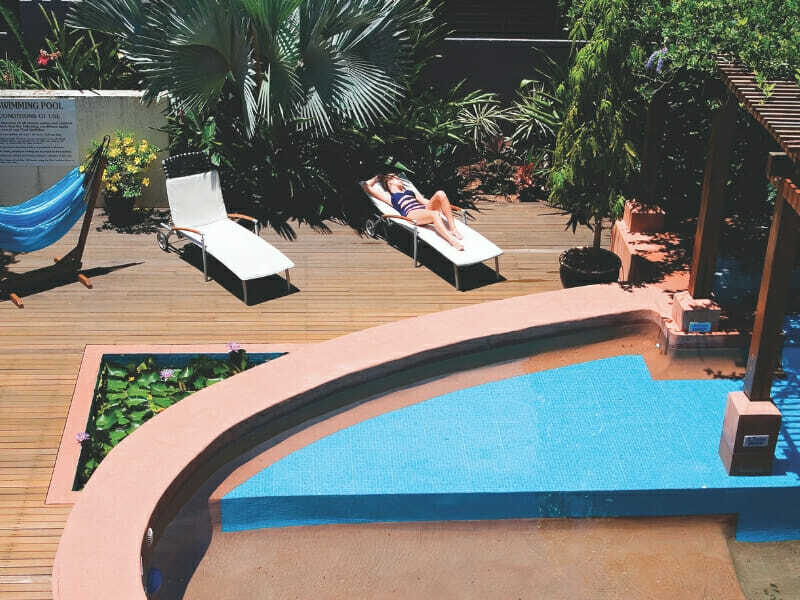 Book your accommodation with this resort and expect a paradise of your own along with top-notch facilities. 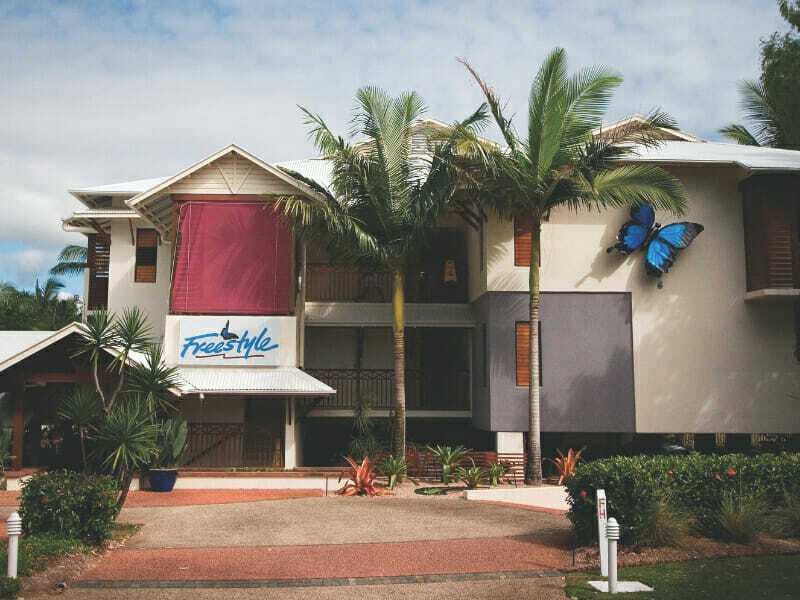 Read more about Freestyle Resort Port Douglas here!